Today, we salute Melinda Foglesong, a PE teacher at Tasby Middle School, and Jeanne Norman, cafeteria supervisor at Lagow and Seagoville elementary schools. Show them respect. Students will work harder for a teacher they feel cares from them as individuals. Listen to them. Ask students what motivates/inspires them. If a student isn’t excited about learning in your class, ask them what you can do to make it a better experience. Keep those expectations high. Hard work and success should be an expectation, not an option. Let them know that you believe in them. Never stop talking about college and careers. These conversations can be constant reminders of the future they are working towards. Make learning fun. No matter how you look at it, students want to laugh. So, make them! What one bit of advice would you give a college education major about what it takes to be a successful teacher? My advice for a new teacher in terms of future successes would be to learn as much as you can from the successful veteran educators around you. This means observing others in action, actively seeking feedback, and learning from observations and evaluations. When you observe others, “steal” one new thing to try each time. If it works, keep it! If it doesn’t work, do another observation and find something new! In regards to feedback, observations, and evaluations, use them as tools to drive growth. Instead of looking at each as simply a score on a pieces of paper or something telling you what you are doing wrong, swallow your pride, reflect on them, apply the feedback/try something new, and watch yourself grow as an educator! Every year I hope students walk away from my class understanding that learning is a lifelong journey and that it can always be fun and enjoyable. It isn’t about having to learn because someone is telling you that you need to, it is about finding fulfilment in it and ultimately craving it. I want my students to understand that learning is the most important tool in creating the futures we want. I think my favorite moment was when I was called for Supervisor of the Year and Supervisor of the Quadrant in 2011-2012 and then the next year I was called for the honor again. I was so excited. I wasn’t even aware that someone noticed my efforts, but they did and it really reminded me that my work matters to my students, my employees and this district. Ten years ago, my son told me he was applying to become a cafeteria supervisor. I had no idea that as he and my other children watched me in my role at work, serving other children, building relationships and extending kindness to them, that as an adult he would be impacted in such a way the he made the decision to follow my path. The fact that I impacted him in that way, means a lot to me as a mother, that taking the opportunity to care for and feed children in schools was something in which he saw value and potential. The best thing about working in Dallas ISD is the first day of school each year. I’ve had 28 first days of school and each one is so special. It’s always the best for me. It’s exciting the kids’ faces so lit up, so excited to here on the first day of school. Especially when I meet the new classes of kinder or pre-k students, trying to help kids learn what to do, excited about being in school for the first time, coaching my team to be excited and to help our new students navigate meal time at school. For my teams and me, its show time, it’s exciting. I see some of the former students come back after ten or 15 years and they still remember me. One of my students works at the gym that I attend and she remembered me from when she was in school. To know, that you’ve impacted someone in someone is one of the things I find exciting about working in Dallas ISD. 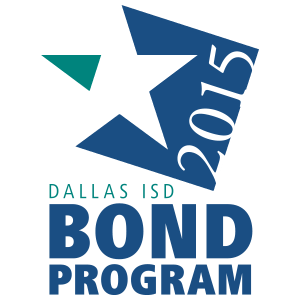 One way you hope to make a difference in Dallas ISD is…. One way that I hope to be able to make a difference in Dallas ISD is to have fed a lot of students hot meals, at least one to two meals a day that some kids never receive. Just knowing that so many kids are only receiving hot meals at school, who can’t wait to get to school, I make sure to try to never be absent in order to ensure that every child gets a meal. I tell my employees to make sure that kids get a good experience when they come through the line because lunch is an opportunity to eat and talk, to make friends and socialize.